Initially billed as the Lawndale Community Music Center, the Sandifers traveled to neighborhood schools, churches, and community centers with the goal of teaching music to local youth. They started by teaching the instrument that everybody already owns - the voice - but their operation grew quickly. By 2003, they had moved into their permanent space at The Garfield Park Fieldhouse (100 N. Central Park Ave.) and changed their name to the Chicago West Community Music Center in order to demonstrate their commitment to the Greater West Side. Howard, a practiced pianist songwriter, and arranger himself, oversaw the instructional side of things while Darlene, who holds a graduate degree from DePaul University in Human Resources Training and Development, used her business background to help the Center grow. Today, Chicago West doesn’t face the same constraints they did back in their North Lawndale kitchen. In fact, their operation has grown so big that they’re running out of room in the Fieldhouse for their Saturday morning classes. 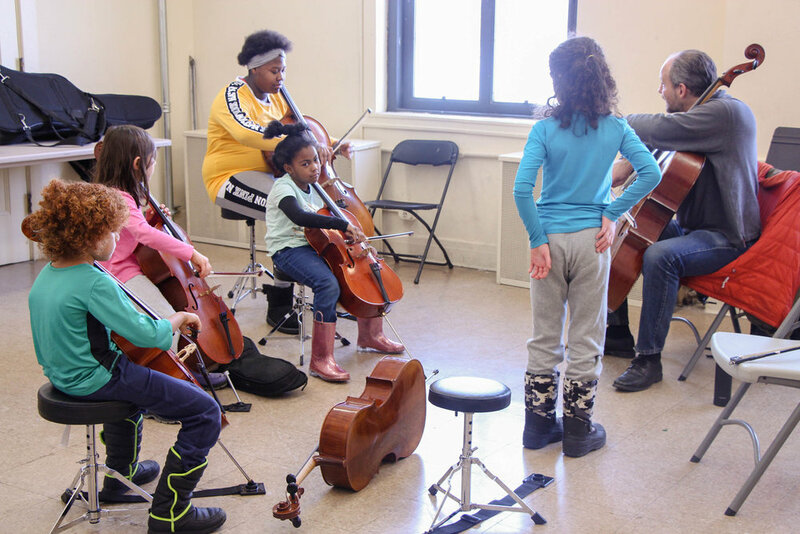 Students from across the city flock to Garfield Park to learn from the team of professional, conservatory-trained instructors the Sandifers have put together. The influx of students has led to a shortage of space, with some classes being held in rooms no bigger than large closets. Still, the allure of high quality instruction, at prices mutually agreed upon with the Sandifers, is too great to resist for many parents. “If children in the community have access to music, they can make it happen because they have just as many skills and talents [as established musicians], and they work hard, so if they continue to do that they can get into that symphony orchestra,” said Darlene Sandifer. “The orchestra is [meant] to be a symbol as well as a legacy and if we can create it right, this is something that can really be owned by the west side”. 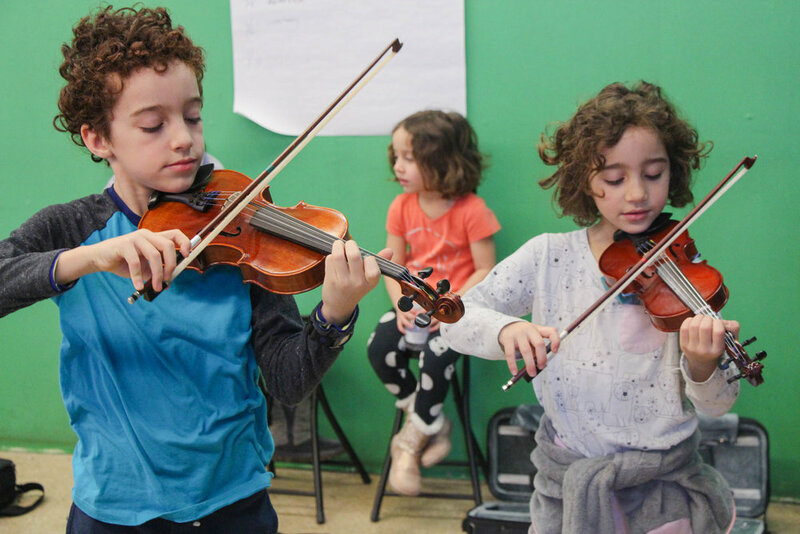 Chicago West’s flagship program is the Westside Instructional String and Harp (WISH), which offers private and group lessons in violin, cello, harp, and guitar, but it’s only one program among several. They also offer a music theory class in partnership with Berklee College and a business class called “The Business of Music,” which includes lessons in production, communications, theory, and recording. WISH students who show sufficient progress as they get older have the opportunity to play in the Chicago West orchestra, as well as in smaller ensembles. For Charles Li, a violin instructor with Chicago West since 2011, being in the orchestra means more than just mastering an instrument. “The orchestra is [meant] to be a symbol as well as a legacy and if we can create it right, this is something that can really be owned by the west side,” he said. For some students, an education at Chicago West has made all the difference in their pursuit of a career in music. Tyheim Smith, a student at Malcolm X College, first joined the music center because he wanted to improve his craft. Five years later, he’s plays keyboards, organ, piano, drums, and bass, and has risen to Musical Director at Chicago West, serving as an instructor at the center as well. In addition to his duties at Chicago West, Smith is recording and producing music under his startup label, TYtanium World Music, where he focuses on gospel music. “I was at a point in my life where I wasn't where I wanted to be musically,” said Smith. “I needed a program where I could be comfortable making mistakes and teaching me the fundamentals of music and what I needed to be a better musician, a better performer, and better businessman.” His work at Chicago West has allowed Smith and other students to travel the world, performing and meeting fellow musicians in both Shanghai, China and Paris, France. In addition to playing at established venues all over the city, Chicago West groups regularly play free concerts at venues across the city, including the Columbus Park Refectory and Constellation Chicago. “It’s wonderful for those who can afford it to go up to Ravinia, but we should be able to have those kinds of opportunities right there in our community.” says Howard. Students at Chicago West practice on instruments donated from William Harris Lee & Company, the International House of Blues Foundation, W&W Musical Instrument Company, and VENUS Harps Mfg. Those interested in donating instruments or learning more about Chicago West can call (708) 386-5315 or email cwcmc1@sbcglobal.net.